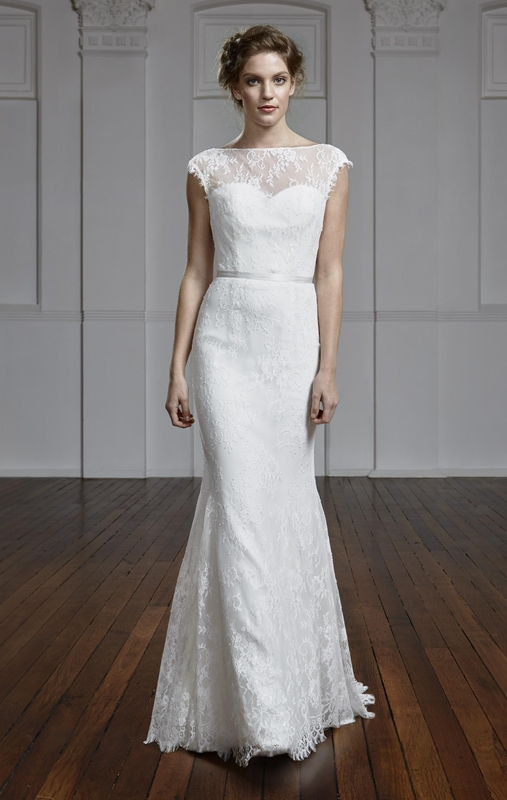 This sweetheart, strapless bodice design features a V back and lace bateau, illusion neckline with optional detail at the sleeves and neck. 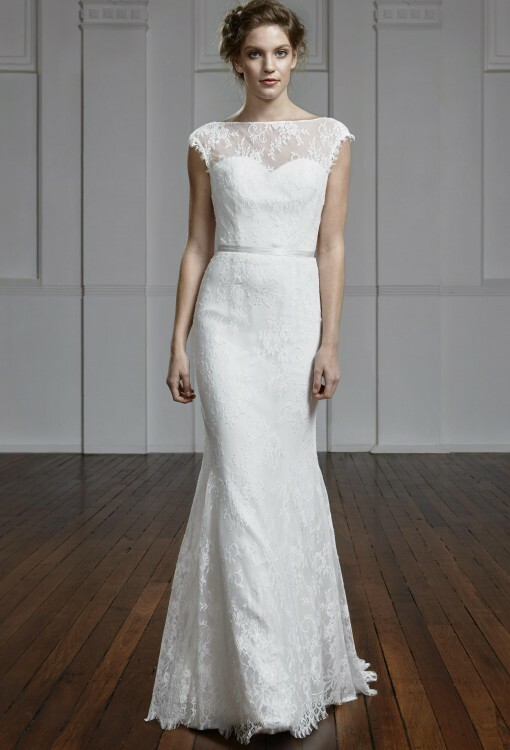 The soft feminine lace is sheer on the décolleté and overlays on the ivory fabric of the bodice and gown. The slim fitting skirt flares from the knee for grace and movement. The Delphina design is available with back zip or loops and covered buttons.